Mountain Checks With Grandeur. Nothing matches a mountain view on our cheap personal checks. They capture the natural beauty of our country. When a mountain range, snow-capped or verdant green, preens in a blue lake reflection, you have Nature at her best. From the desert heights that back Utah's Natural Arch to the tree-covered ranges that grace many of the country's national parks and wild places, the views on our Mountain Checks inspire awe and wonder. Landscapes can be tuned to the seasons, adding to the glory of each scene. The frosted heights of winter, whose frosty views cast wintry reflections in cool lakes are equaled only by the summer green of mountains whose reflections seem more alive. Those who live in mountain settings or those who travel the land and find mountains to match their grandest dreams of beauty can have the feeling renewed with each personal check they write from this collection. Did you know you can save up to 70% off standard bank check prices when you order checks online from Value Checks. 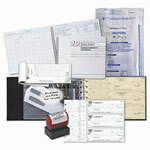 Plus, all checks meet high quality standards required by banking institutions. Easy ordering makes life simple. Just choose the mountain view design that suits your style and order online. Checks arrive in the mail. Thank you for shopping at Value Checks where you can order cheap checks and get a great bargain!